As the 4th of July holiday approaches, we scanned through our photo archives for a few fitting memories from past trips. These images were captured during one of our cruises out of New York. Just imagine what the immigrants who were coming to America thought as they saw Ellis Island and the Statue of Liberty. 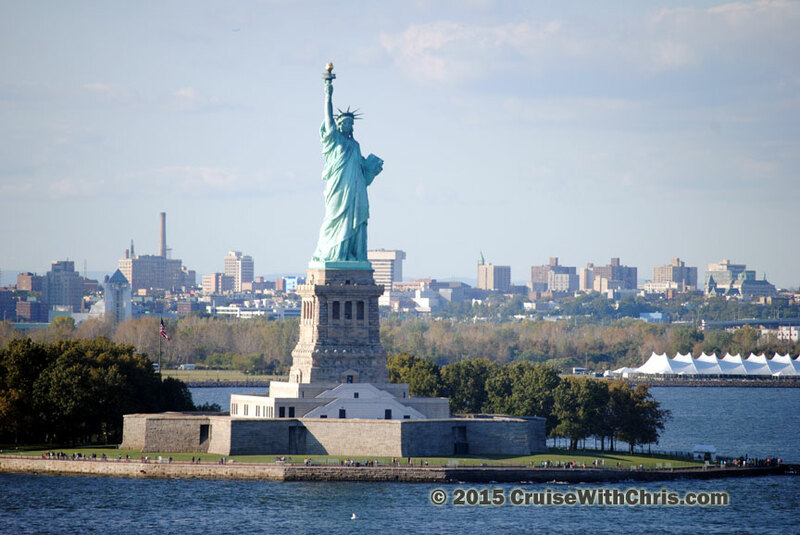 On October 28, 1886, the Statue of Liberty was dedicated. It was later designated as a National Monument in 1924, restored for her centennial on July 4, 1986, and in 2011, underwent a renovation of the 125 year old pedestal and the 200 year old fort base from which the statue rises. A gift of friendship from the people of France to the people of the United States... The Statue of Liberty is a universal symbol of freedom and democracy. 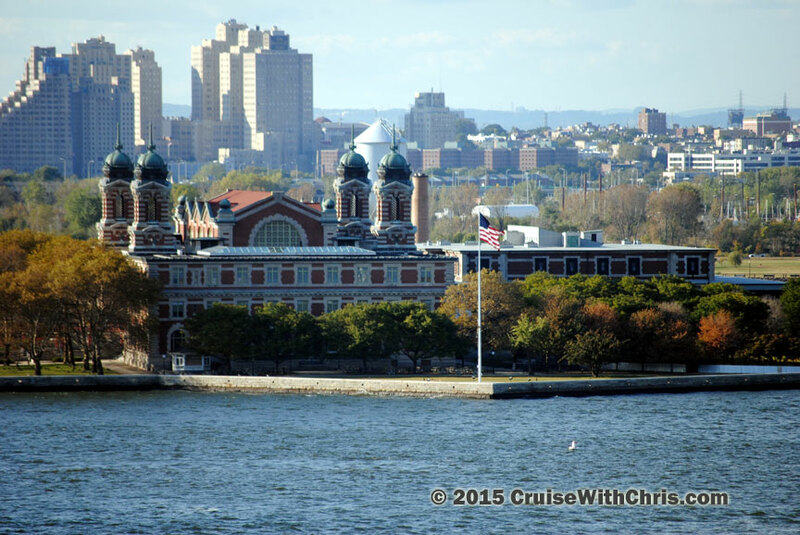 Sailing in or out of NY Harbor is something you should put on your bucket list if you haven't already done so. 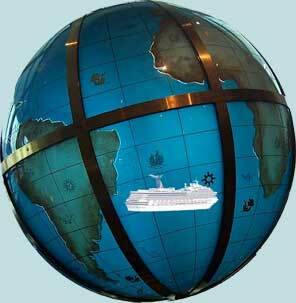 Some cruises that you could select include trans-Atlantic voyages, Bermuda, and Canada / New England itineraries. What Images of America come to your mind? 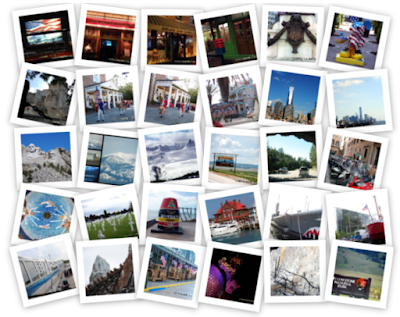 If you like Travel & Photography join us each Friday for #FriFotos and on Monday for #Travelpics! We'd like to welcome new readers to our Blog, Facebook fan page, Twitter, Pinterest, and website, on this #SocialMediaDay. 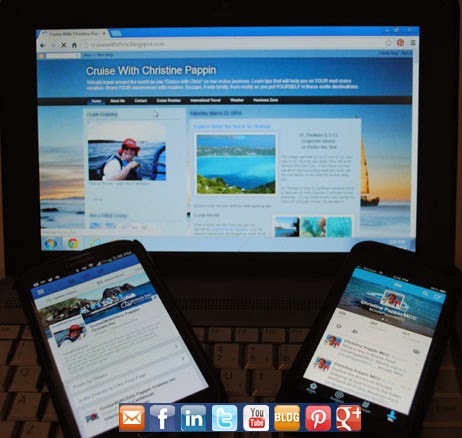 We look forward to socializing more with you in the future to help plan a great cruise or land vacation for you and your traveling companions. We've included links here with a brief explanation of some of the resources we offer to our followers. Please be sure to take advantage of all these opportunities, as that is the best way to stay informed. If you haven’t signed up for our eSavers Newsletter yet, be sure to do so. This is just one of our communication vehicles to keep you informed about industry news and special offers for our loyal followers. 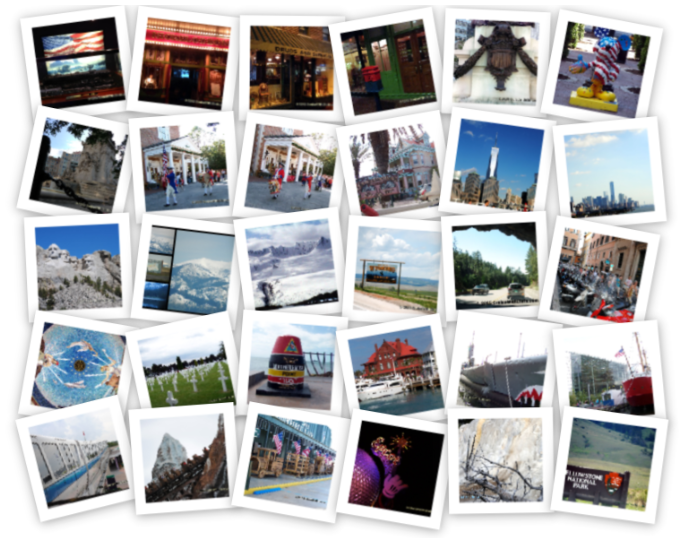 By signing up for our newsletter you are also entered into our quarterly contest to win a free trip. We have several boards on Pinterest which might be of interest to you. Nowhere else in the world can you find the complete history of water management at a single location. 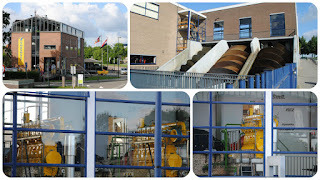 The windmills and pumping stations drain the excess water from the Alblasserwaard into the river Lek via the Elshout sluices. Subsequently, the river discharges the water into the sea. 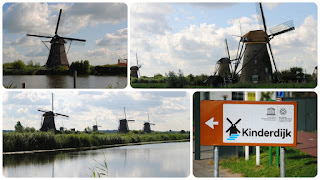 There is a wealth of information on Kinderdijk's website. You can even play the Battle Below Sealevel Game to explore the timeline. 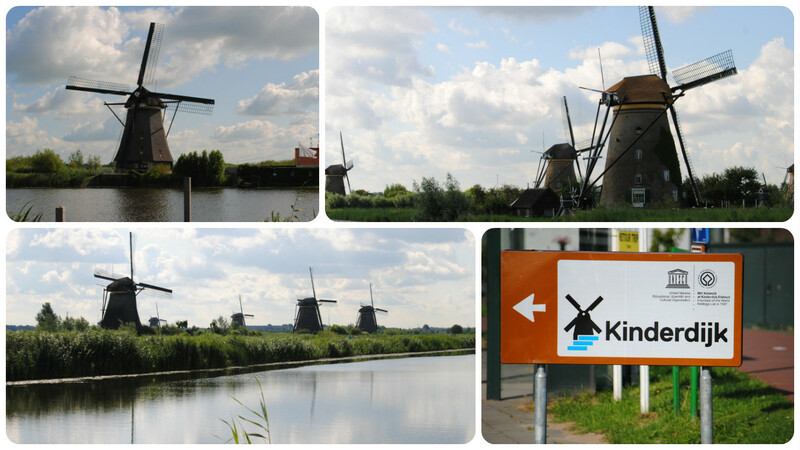 During our Avalon Waterways Rhine & Moselle river cruise, we stopped in Kinderdijk on our way to Amsterdam. We had visited before during our previous cruise to Holland during tulip time. This is a destination that can be visited multiple times and still leaving more to be explored. The Canal Hopper Prins Friso takes you to four of our visiting points. The electric ‘whisper’ boat starts at our Visitor Centre Wisboom and then sails to the Parking Area, Museum Mill Nederwaard, Musuem Mill Blokweer and back to the Visitorcentre. You can get on and off at all visiting points. The Prins Friso is an open ‘terrace’boat. It completes its tour in 30 minutes and is suitable for wheelchairs. The Canal Cruiser (Ferry No 6) takes you for a tour that starts and ends at the Parking Area. It takes you along the windmills in about half an hour. We had the opportunity to visit Fort McHenry during our post cruise stay in Baltimore, MD after a recent cruise. This was an impressive flag ceremony. I suggest you include a visit to Fort McHenry when visiting Baltimore. 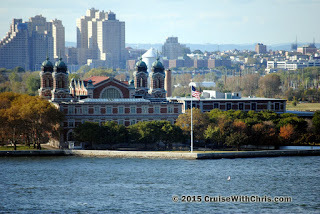 Royal Caribbean Grandeur of the Seas and Carnival Pride have several sailings from Baltimore, so why not include a cruise in your plans and learn about our nation's history at the same time. 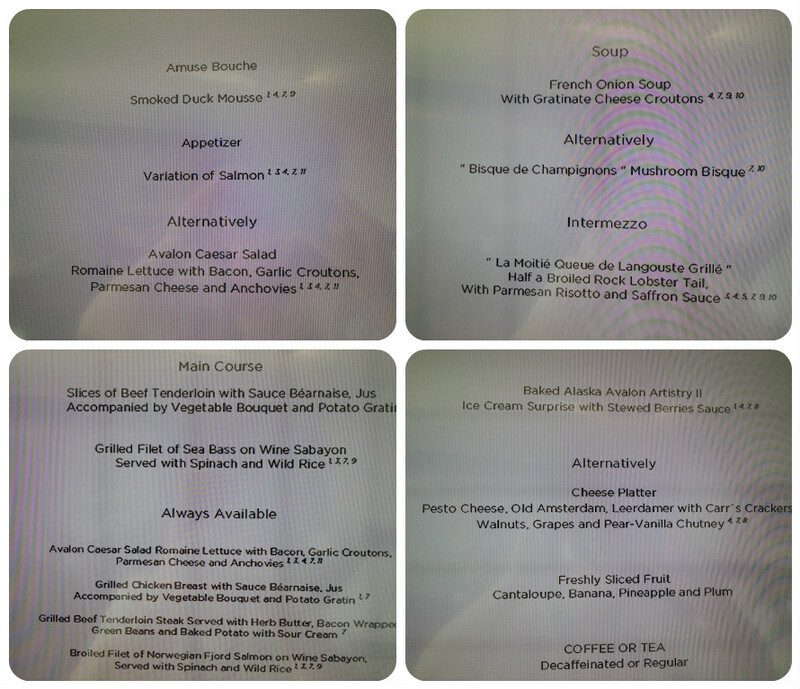 Not our last dinner onboard but the most suitable evening for this special treat. We enjoyed our Farewell Dinner on Avalon Artistry II as we sailed from Kinderdijk, Netherlands to Hoorn where we would spend the night. Before dessert, the Hotel Director thanked us for sailing and recognized the staff that had taken care of us for the two weeks. We met many new friends during the two weeks onboard the ship. Also we had a fabulous crew. 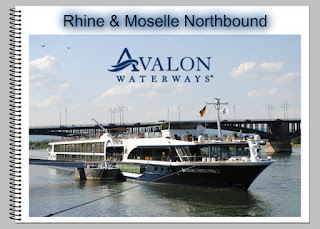 Video Diary of Avalon Rhine & Moselle River Cruise on Artistry II. 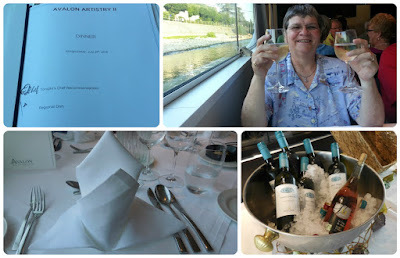 This was a 13 day river cruise that started in Zurich, Switzerland and concluded in Amsterdam, Netherlands. 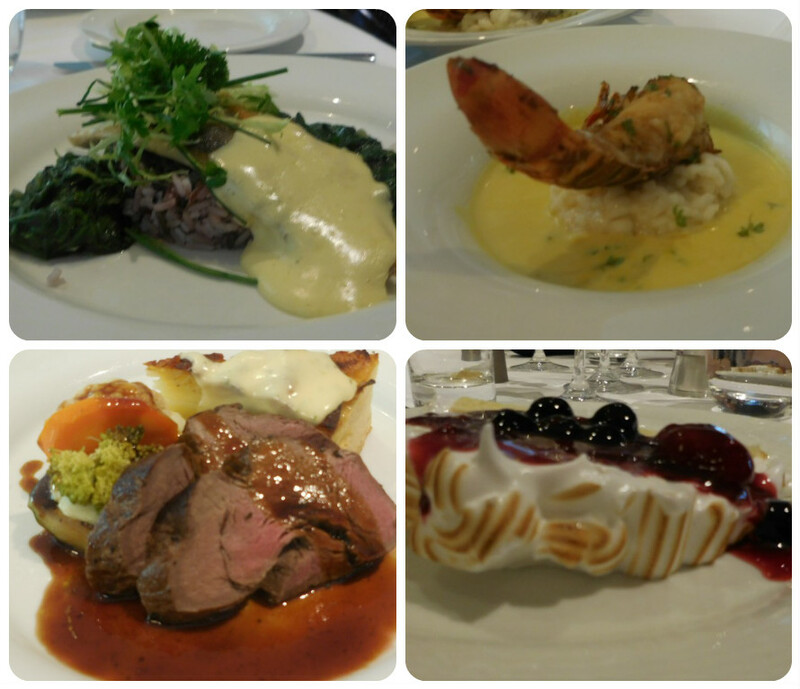 Entertainment on a river cruise is unlike that onboard an ocean cruise ship. It is much more personal. 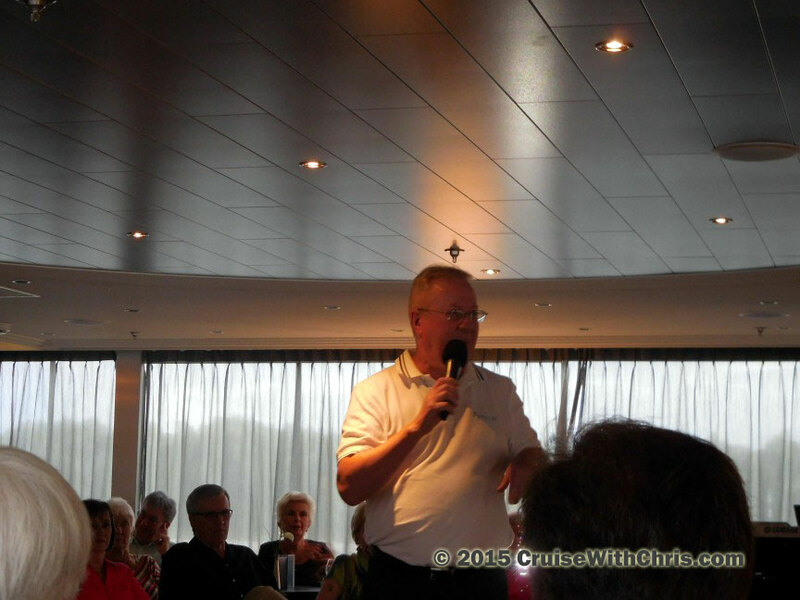 During our sail from Cologne, Germany to the Netherlands, there was a very special show - the Crew Talent Show. If you don't attend any other shows during your voyage, you won't want to miss this one. They put their heart and soul into providing the passengers with a good time. 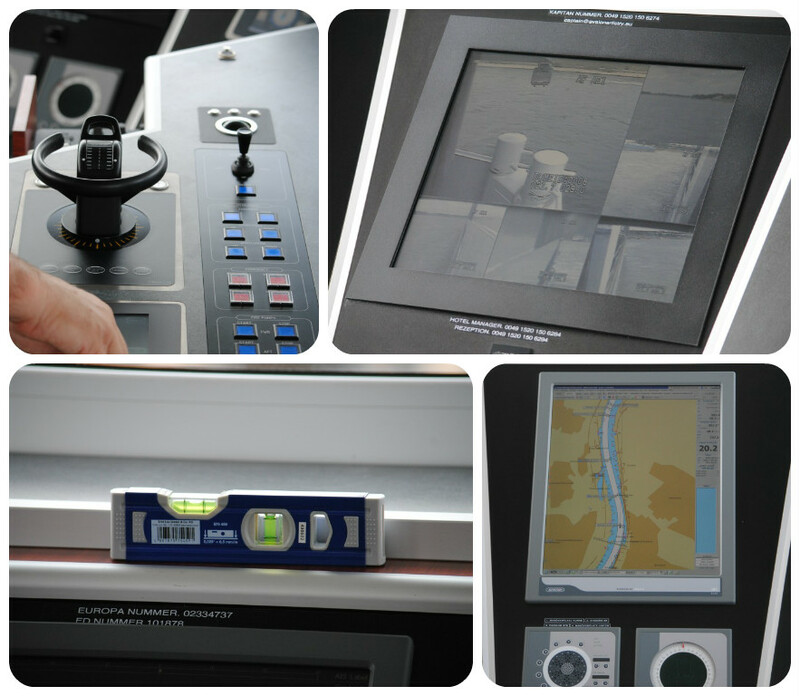 Watch these videos for a taste of the talent onboard Avalon Artistry II. In this next portion of the talent show, sit back, close your eyes and you will think "What a Wonderful World". In the background, you'll see river traffic going by as we cruise along the Rhine. Watch more videos from the talent show as well as other highlights on our YouTube channel. During our afternoon sail from Cologne, Germany, there was an Open House in the Wheel House of Avalon Artistry II. 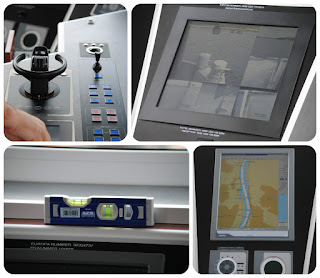 We were able to ask the First Captain about how the ship was operated. 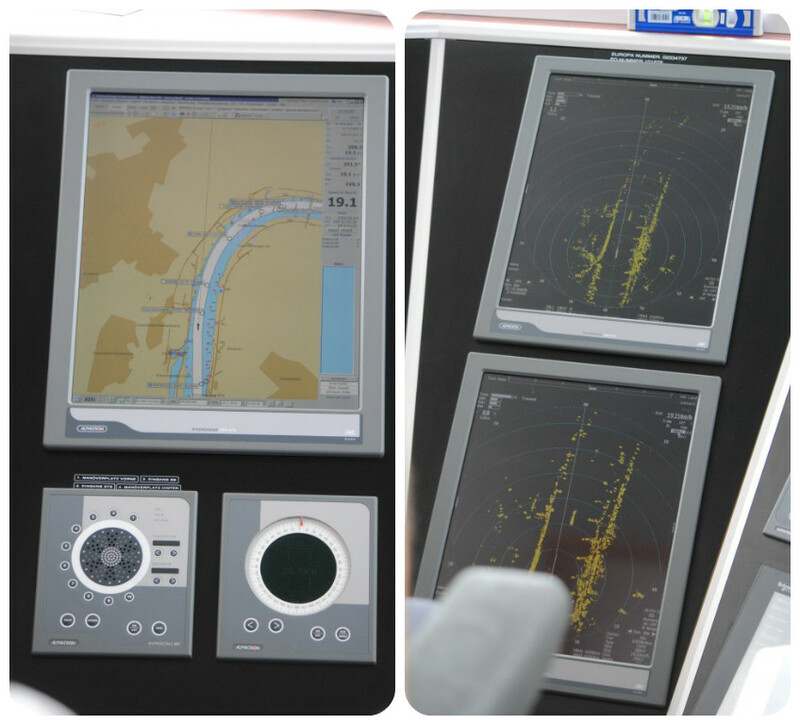 We had our own birds eye view of the ship's operations. Note that on the river boat, an engine room visit is not possible, but this was certainly a treat. Cogwheel to Dragons Castle tour, it was time to get ready for the evening events. As usual there was a Port Talk describing the next day's program which was followed by another spectacular German dinner. Braised Topside of Beef Marinated in Red Wind & Vinegar Served with Red Cabbage and Potato Dumplings. 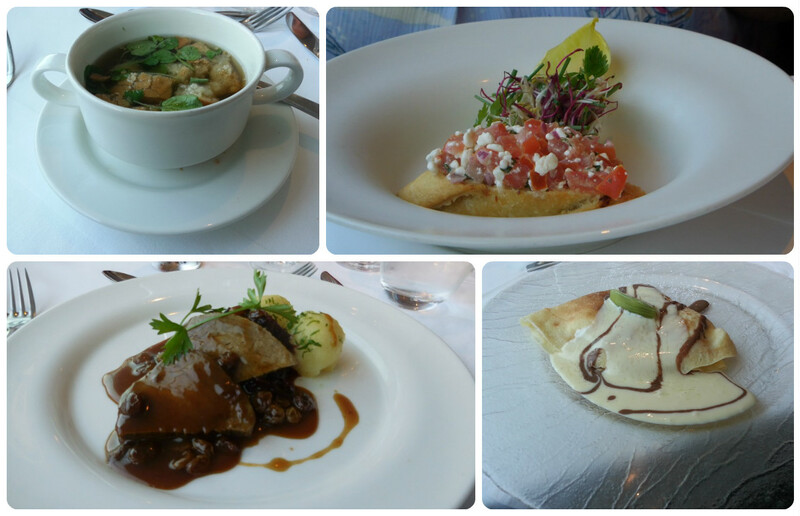 Starters were Chicken Liver Parfait, Avalon Caesar Salad, Farfalle Pasta, and Brushette with Curd Tomato Tapenade. 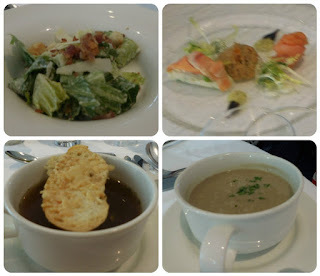 The Soup selections were Veal Bouillon and Cream of Leek with Garlic Croutons. 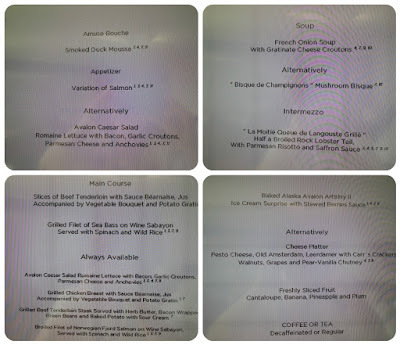 As you can see we complemented the meal with a nice glass of wine and selection from the Dessert choices: Cheese Platter, Pancakes Filled with Rum Raisin and Hazelnut Cream and Vanilla Sauce, Salad of Dried Apricots and Plums, Yogurt Ice Cream with Berries, and Freshly Sliced Fruits. This was definitely one of our favorite meals during the cruise. The evening concluded with the swing band "Funky Groove Band" providing entertainment in the lounge followed by Late Night Snacks. June is "National Oceans Month" - Know your ocean! We all love the ocean. It takes care of us - by providing food, medicine, oxygen and fresh air, transportation, communication… not to mention fun, recreation, and inspiration! The ocean links people all over the world together, and we couldn’t survive without it. This World Oceans Day, give back to the ocean by promising to do at least one thing in your life to help keep it healthy. A healthy ocean means healthy humans, dolphins, corals, turtles, fish, and other wildlife for the future. 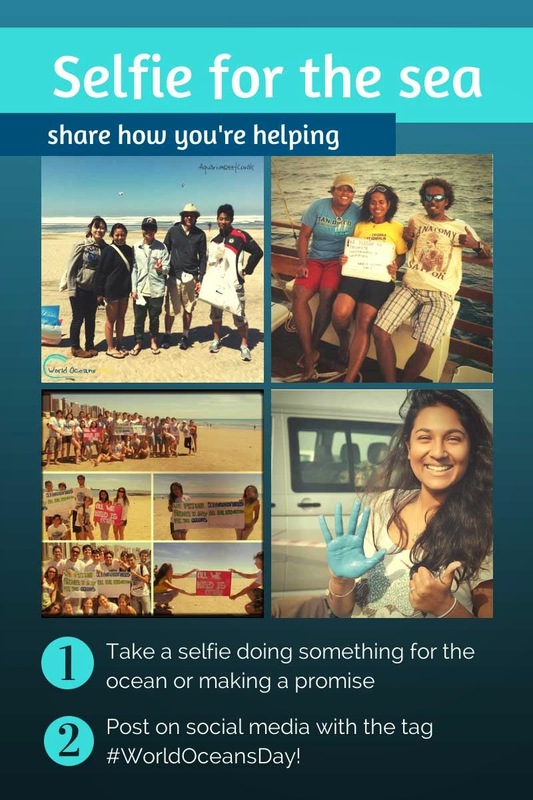 So, pick a promise and post a selfie on social media to share how you’re doing your part for our ocean. 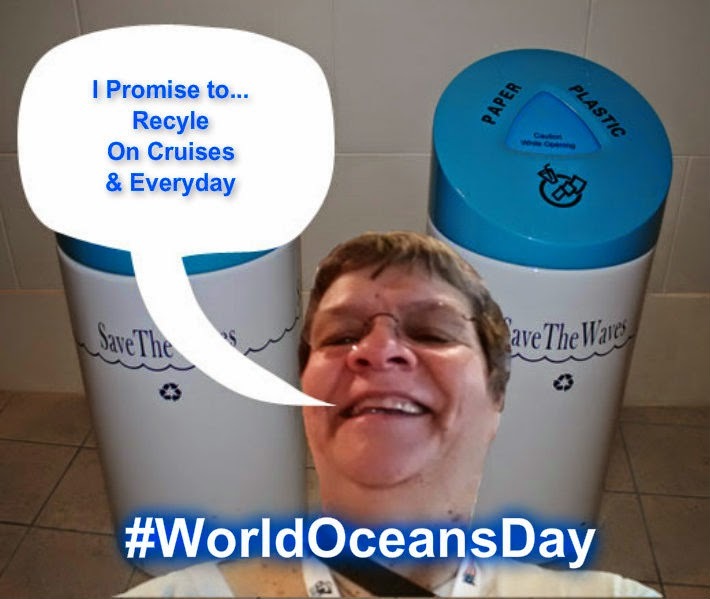 We also encourage you to post your own selfies (and tag #WorldOceansDay and/or link to http://worldoceansday.org/promise) and retweet others. Despite the prediction of a near-normal Atlantic Hurricane Season, the NHC is issuing advisories on the third named tropical storm for this season. Colin formed in the Gulf of Mexico on Sunday and has set it's sights on Florida. Heavy rains, flooding, and rough seas are predicted for today, Monday June 6th. Update Tuesday Morning: Colin is moving up the East Coast and is now soaking North Carolina. Some increase in strength is expected during the next 24 hours. However, Colin is also expected to lose its tropical cyclone characteristics today. As of this initial posting, the cruise lines have not made any itinerary changes, but they will undoubtedly be keeping a watchful eye on the storm as it develops. Apalachicola to Naples Florida...1 to 2 ft.
On June 6, 1944, D-Day, my father landed on Omaha Beach in Normandy, France. He never spoke much about that day, other than to say that his tank had sunk, he had been rescued, and was redeployed. He was in his early 20s at the time. Today marks another anniversary of D-Day, the day that the allied troops stormed the beaches of Normandy to begin to take back Europe. 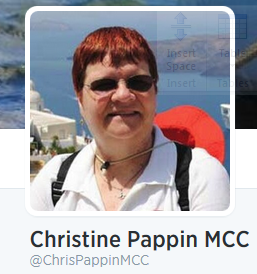 The generation that fought that battle are slowly fading away, leaving only written accounts in their place. My father is among those who are no longer with us. He and his comrades live on in our hearts as we honor them today during the commemoration of D-Day and the Battle of Normandy. On the occasion of the 72nd Anniversary, many surviving soldiers have gathered to participate in various events. My parents went back to Normandy many years later for the 40th anniversary observance. 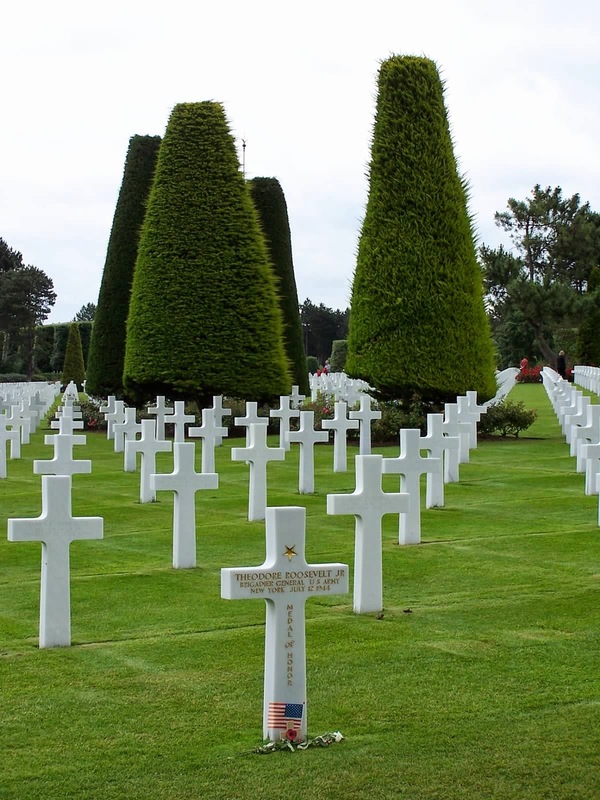 He visited the grave of his commanding officer in the American Cemetery (shown to the left). Despite all his bravery, that sight moved him to tears. My husband and I returned to Omaha Beach and several historic sites in Normandy, France for the 60th anniversary. 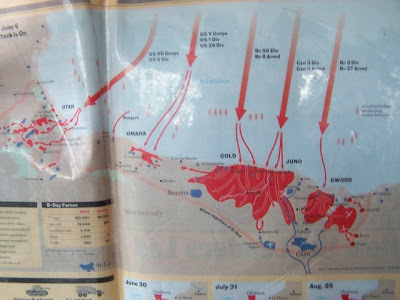 This was a very moving experience for us as well and it brought to life events which until then was just something we read about in history books. That trip was in conjunction with a 12 Night British Isles / Norwegian Fjords cruise. We arranged for a private tour with a local guide during which we walked on the beaches, visited all four of the cemeteries and other memorial sites. 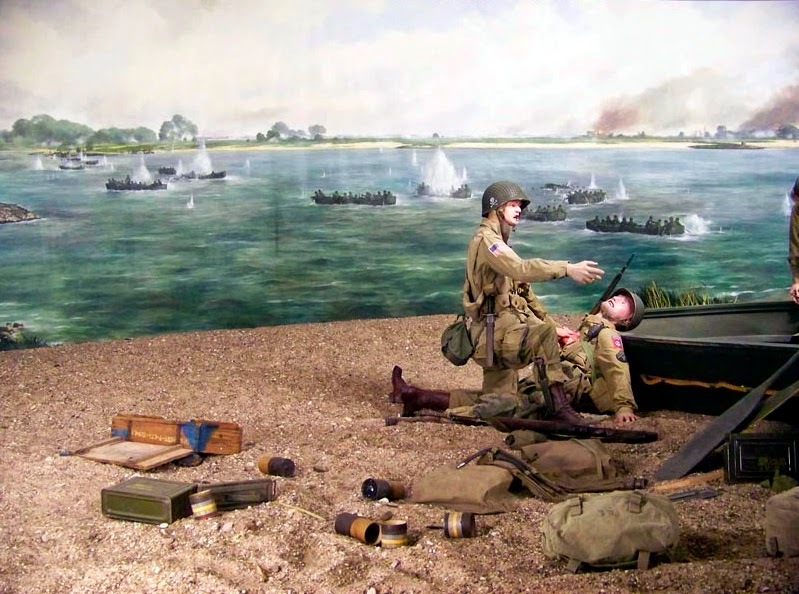 The benefit of using a local guide was that we not only visited the various sites, but were also provided historical background, through images from 1944 so that we could experience Normandy in a totally different way. Our guide picked us from our ship in LeHarve early in the morning and returned us there in early evening. He could have gone longer, but we were tired and decided to return to the ship instead of having dinner in Honfleur. 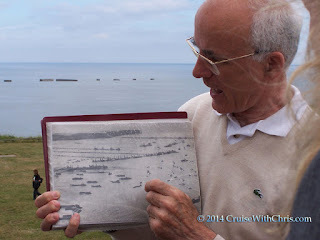 In honor of this Anniversary of D-Day, we have updated links in our previous blog articles and also gathered all our photo albums on a Shutterfly Share Page. 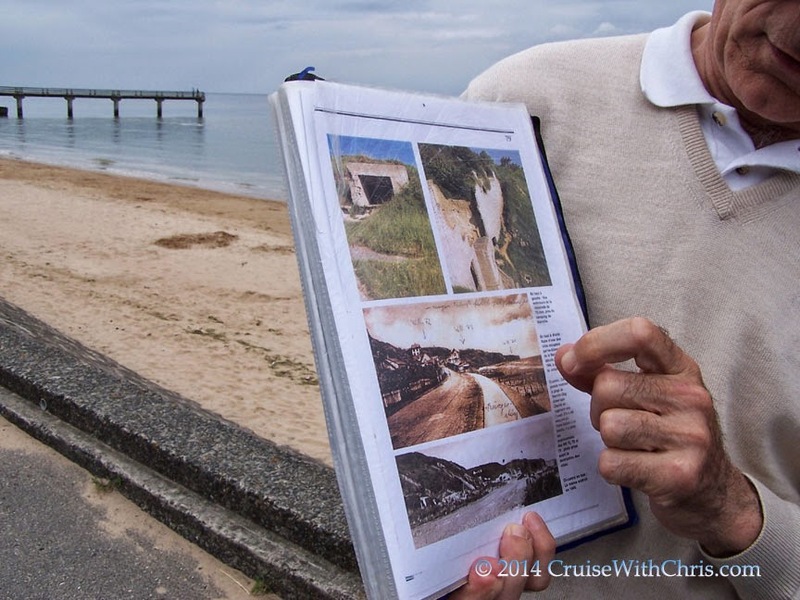 The beaches were quiet the day we visited the Normandy Beaches unlike the early morning hours in 1944. 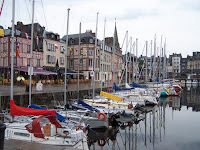 I encourage you to include a visit to Normandy should your cruise call in LeHavre, France. Bring the entire family, especially children, so that they can bring history to life.